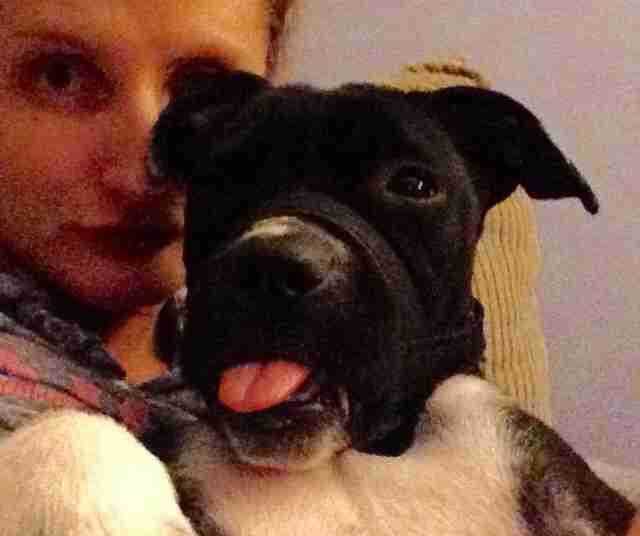 No one really knew why Lucy's owner refused to give her up. 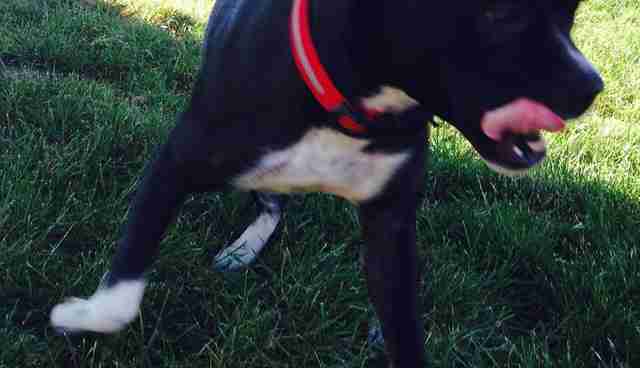 Almost every day, he beat the pit bull mercilessly. Maybe it was because in Egypt, purebred dogs are a status symbol, almost a species apart from the countless street dogs who scavenge for their curbside meals. But one day, her owner got so frustrated over some perceived annoyance, he beat Lucy within an inch of her life. 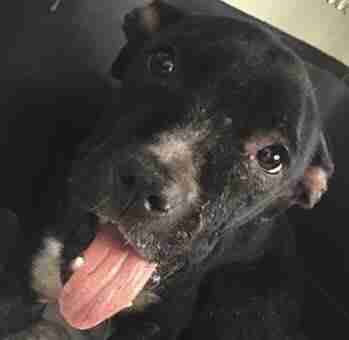 The dog, who was hardly a year old, was kicked repeatedly and possibly pummeled with a brick. Both sides of her jaw were broken. After hearing of the attack, a rescue group in Cairo tried to persuade Lucy's owner to give her up. So, the group got in touch with a U.S. animal rescue called Special Needs Animal Rescue and Rehabilitation (SNARR). While Lucy was getting medical attention, the Egyptian group came up with a plan. "They told him she died and immediately put her on a plane to JFK airport," Lauren Connelly of SNARR tells The Dodo. "If they had not, she would have likely suffered more beatings and starved because she couldn't eat with her jaw the way it was without specially mixed food." Thanks to a network of volunteers, Lucy traveled from New York to Pittsburgh, where she spent her first night at Connelly's house. In the morning, Lucy was taken to the hospital. 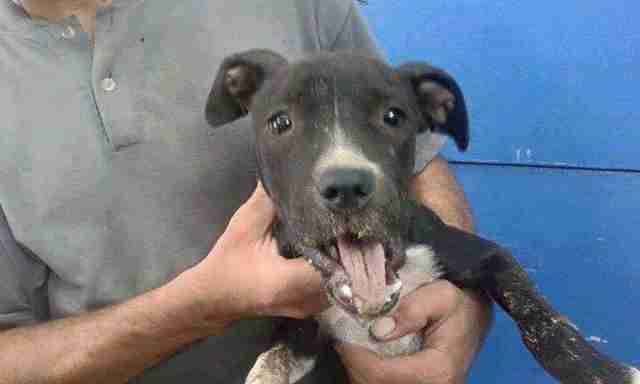 Aside from her shattered jaw, her mouth was oozing infection. "You literally had to hold your breath when she was near your face; it was so bad," Connelly says. Gradually, the infection abated. Lucy's next step was an orthopedic specialist, "who essentially rebuilt the jaw from the ground up," Connelly notes. For a while, Lucy had to wear a brace so the bones could bond and heal properly. But Lucy's biggest hurt was on the inside. Her foster mom, who met Connelly and Lucy at the vet, got to healing that right away. Today, everyone loves Lucy. And she's getting her smile back. All she needs now is a real home. If you think you could help, visit SNARR's adoption page here. You can get also get updates on Lucy's progress through the group's Facebook page.